Stationary 633 4-Way Fogger | Lafferty Equipment Manufacturing, Inc. 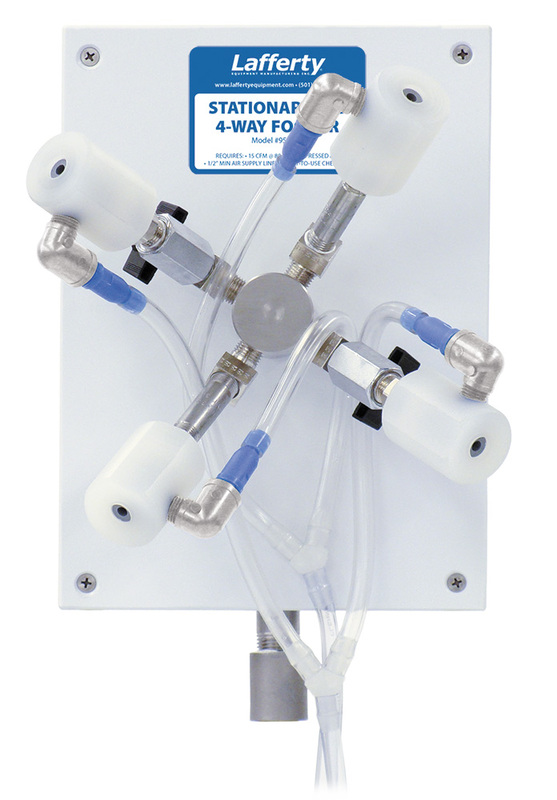 The Stationary 633 4-Way Fogger will project small to medium fog particles up to 15 feet in 4 directions. It uses compressed air (15 CFM @ 80 PSI) and venturi action to draw ready-to-use chemical solution from a static tank and atomize the solution. This unit is quite versatile: it can also be used as a 2-Way fogger by closing ball valves on two fogger bodies; It can be permanently mounted; or it can be easily relocated.